Well, I am back, safe and well from Northern Argentina. What an incredible country! What an incredible trip! What fabulous photographic opportunities this country offers! Each day afforded a level of diversity in images I have never before experienced in any other country in the world, and I have seen my share. To photograph festivals and cultural events, portraits, landscapes, wildlife and social documentary images in the space of a day was not unusual, and the diversity of each of these categories changed daily with each new location, each new adventure. My Nikon D200 performed brilliantly, producing 10 megapixel images that I can use for almost any purpose. I also used a Ricoh GR Digital for some of the candid 'street' images. Lenses ranged from my Tamron 11 -18 through to my 300mm AF-ID Nikkor. My favourites were the new Tamron 17-50 f2.8, my AF NIkkor 80-200 f2.8 and my 85mm f1.8, the lens I live in. 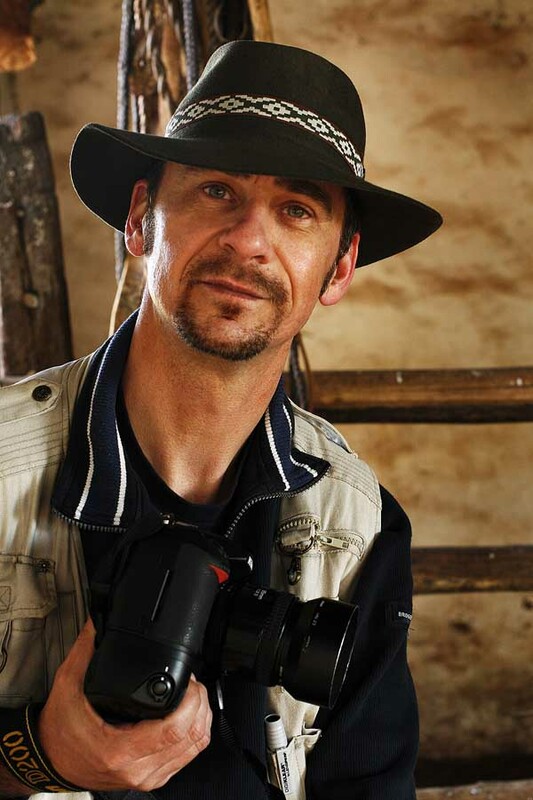 Upon my return from Argentina, one of the first things I am going to do is speak at Southern Suburbs Photographic Society. (Hopefully I will be over the jetlag!) This will be Tuesday 5th of September at 8pm. Southern Suburbs meet at the Uniting Church Hall, Hemming Street, Brighton East. (Melway Map 77C4.) For more information about Southern Suburbs, click here. I will once again be presenting my lecture on the subject of People Photography. If you are interested in the subject, or just wish to hang around with fellow photographers, make sure to come on down. Camera Clubs and Associations are the perfect way to find birds of a feather who flock together. Some of them are pretty crazy birds too! There will be free copies of Total Image, new friends to make and coffee and biscuits to have. Hope to see you there! Well, its nearly that time again. As part of my annual obligations, I am leading a photographic tour to yet another incredible part of the world. Its a dirty job, but someone's gotta do it. This year I am taking a group of fun loving photophiles to Argentina - visiting Iguacu Falls, The Culural region of Ibera, Buenos Aires and many fabulous places in between. 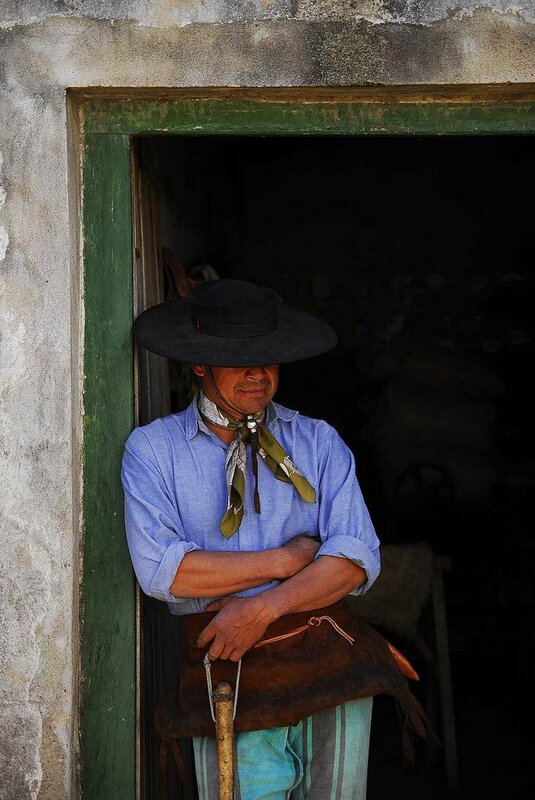 Two days will be spent photographing the Gaucho Cowboys on actual Argentinian Estancias or ranches. 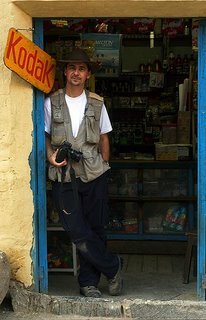 There will be festivals, wildlife, culture, landscapes and of course the inevitable Mecca of every photo tour I run - the local marketplaces. I will be returning on the 27th of August with thousands more images to add to my collection, and a few stories to tell no doubt. 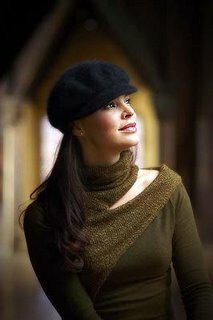 Look for the new images on my website when I return! 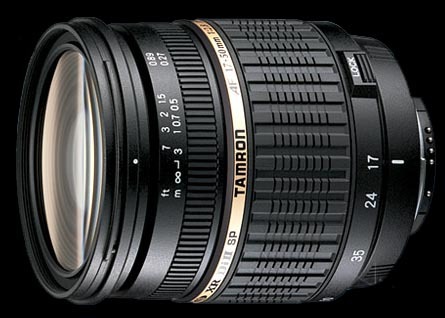 Interestingly, Tamron Japan, in conjunction with their Importers here in Australia have asked me to produce and present images taken with their new 17-50 f2.8 lens. I am looking forward to using that! I am honoured to have been asked. 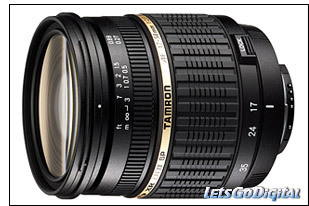 Tamron make superb optics and I already own their 11-18 Wide Angle zoom. Look for the images that I take with their new 17-50 f2.8. We will be photographing through the Northwestern provinces of Salta and Jujuy, a region of contrasting landscapes such as cloud forests, valleys with huge cacti groves and the Altiplano or Puna, territory close to the borders with Bolivia and Chile (the Atacama desert), with an important cultural heritage of the native people of the Andes. We will visit old colonial towns in the valleys of Salta and Jujuy for photographing the wineries and the work related to the wine production, as well as the native people using the agricultural terraces built by the Incas and the primitive tribes. The tour will be set in the period in which the people of the mountains and valleys make their ceremonies to the Mother Earth or Pachamama, to the Sun and to the Christian saints in order to pray for better times, for a good harvest and for a successful reproduction of their sheep and llamas.The last part of the trip will be in the northeast of Argentina, the subtropical region of the Ibera marshlands and the Iguazú rainforest. In Iberá the group will stay in an authentic cattle working ranch, where we will focus on the life and work of the gauchos, those famous horsemen of Argentina, as well as in the rich wildlife of the area. At Iguazú we will visit the spectacularIguazú Falls, considered the most spectacular waterfalls on Earth, and have also chances to shoot local farms and colorful markets.